227g room temperature Rama margarine. 1 1/3 cups castor sugar. 4 eggs at room temperature. 554g room temperature Rama margarine. 3¾ cups sifted icing sugar. Combine the cake flour, matcha powder and baking powder in a bowl. Add the eggs, one at a time and beat well between each egg. Now add the vanilla essence and beat to combine. Add the matcha powder and milk, whisk to combine. Divide the batter between 2 x 20cm cake pans that are well greased. Pop into a preheated oven and bake at 180 degrees for 25 – 30 minutes or until the cast tester comes out clean. Allow the cakes to cool for 10 minutes in their pans, turn out onto a cooling rack and allow to cool completely. 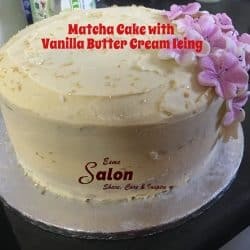 To make the frosting, cream the margarine until light and fluffy, add the vanilla essence and beat and add a little icing sugar at a time and beat well until a nice smooth icing is achieved. 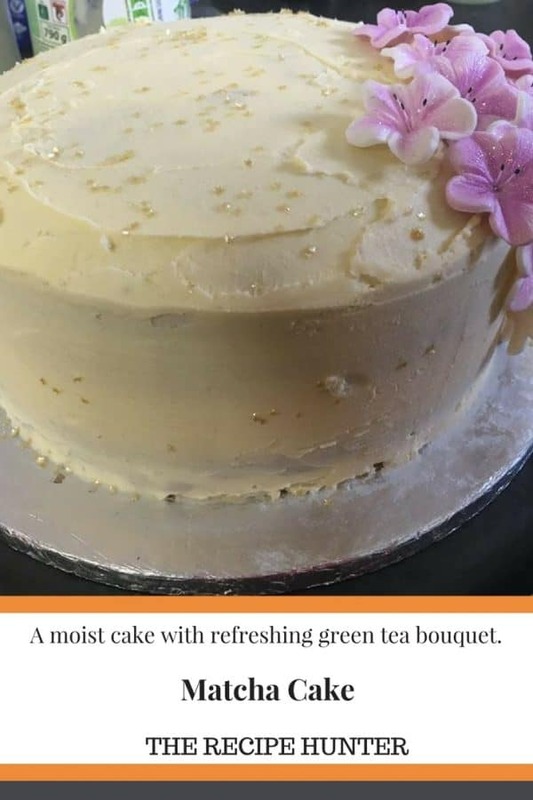 To assemble the cake, place the first layer on your cake board, spread a generous layer of icing on top of this layer, place the second cake on top and then ice the entire cake. Do you wish to learn more about the effects and uses of green tea? Well, you’re in luck! Please hop over and check out Groom+Style’s Post, an extensive guide on Green Tea and its benefits. Matcha does seem to be a popular ingredient in cakes lately, Esme. Seems like it Robbie, still have to try it myself. Have you used it as yet? No, I haven’t. I have another great recipe that calls for it though so will definitely be trying it.